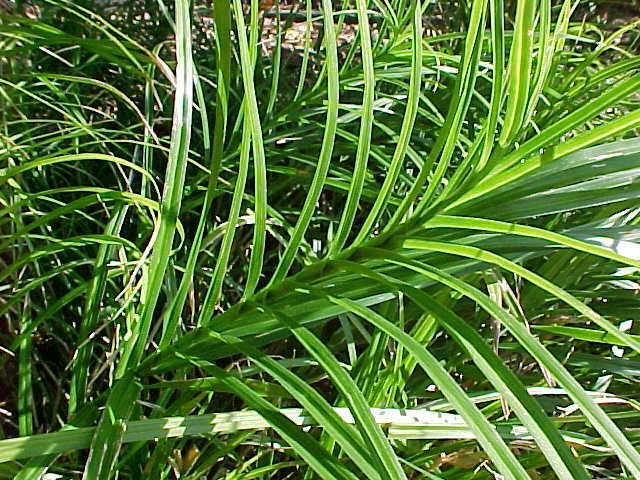 The palm-branch or musk sedge has pale green leaves which turn yellow after the first hard frosts and persist through winter. It is semi-evergreen with us and forms an upright rounded clump, with an exotic appearance. The flower spikes are green spindles held clear of the foliage on a compact plant. It can be planted in moist fertile soil, bog, or placed in water as an aquatic marginal. Can be placed in water up to 10cm/4” deep. Cut back in spring, which is the best time to divide the plants. Sow seed when ripe.